Cyclists are welcome to park, however we ask that you respect other visitors on the paths and be aware of signs along the way for everyone’s safety. 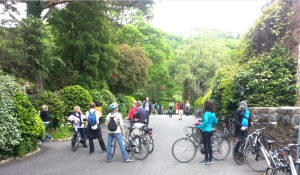 Bike Hire during the Easter period from Good Friday until Easter Monday. Weekend only in April, May & June.